Nov.8.-22.11.18. :Rome , PSAP Education Pilates classical mat and Foundation System, 72h hospitation ,coaching, education Patricia Medros. 2018/23.5.-1.6. : PSAP certified Mentorship from Patricia Medros, second generation, 20h hospitation ,coaching, observation, classic Pilates with Gratz Equipment in Rome. 2018/March: “Push and Pulls” with Christian Lutz, Pilates Akademie. 2018/ Januar : Education “Fascia in motiom” with Elisabeth Larkam from San Francisco ,one of the Polestar founder. 2017/November: Classical Pilates in Rome ,supervision Patricia Medros (PMA second Generation Teacher) certified 1998 from Romana Kryzanovska one of First Pilates Generation teachers. 2017/June: Education: Pilates for the dancer. Screening, rehabilitation, prevention, technique. 2016 Dez. Women’s health: Pregnancy, Menopause,Osteoporosis etc. 2016 Nov.Berlin: Walk analysis, Anatomy and Tests. 2016 /13.-15.2 Professional examination techniques of lower extremities, anatomy, extended Tests and analysis for single training. 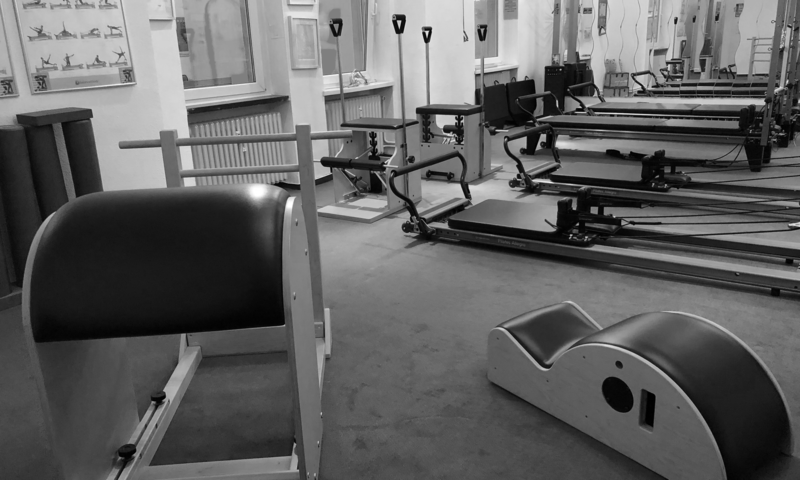 2015 Nov. Pilates back special for Arc & Reformer. 2014 aktive membership and recognition by the “Deutschee Pilates Verband, DPV” . Membership will only be extended if sufficient further education is proven. 2013/2014 Polestar Reformer training = focus: group-training. 2011/2013 Polestar Studio training = focus single training on equipment: Trapeze Table, Reformer, Chair, Barrel,S pine Corrector, Arc.